The Black Lives Matter movement was created and was solidified in history by the deaths of three African-American men. On February 26th, 2012, Trayvon Martin, a 17-year-old African American high school student was shot and killed by George Zimmerman, a 28 year old mixed hispanic man at Stanford, Florida, United States. Zimmerman was the neighbourhood watch coordinator for a gated community in which Trayvon Martin's father's fiancée was a resident. The night of his murder, Zimmerman was on community watch and spotted Martin walking about the neighbourhood at around 7pm in the evening. After notifying the police about Martins suspicious activity, Zimmerman approached Martin when an altercation broke out between him and Zimmerman, which ultimately ended in his murder. Martin was unarmed and later Zimmerman was charged with second degree murder, however, on July 13th, 2013 he was found not guilty. The shooting of Trayvon Martin and the verdict of the courts caused an outcry from the African American community for action against anti-black racism that permeates today's society. Out of a response to the acquitted Zimmerman, Patrisse Cullors created a hashtag on Facebook in response to a post by Alicia Garza about the incident called, #BlackLivesMatter. Later, Patrisse Cullors in collaboration with Alicia Garza and Opal Tometi started the #BlackLivesMatter campaign. Thus the movement began, in a local grassroots community of Oakland by the work and dreams of Cullors, Garza and Tometi. Yet the movement did not gain national recognition until a year later with the deaths of both Eric Garner and Michael Brown. On July 17th, 2014, Eric Garner, a 43-year-old African American father of six children, was suffocated to death by Daniel Pantaleo,a 29 year old caucasian policeman at Tompkinsville, Staten Island. Garner, unarmed, was approached by the police under the suspicion that he was selling untaxed cigarettes, a charge that Garner had served many times prior. After refusing to be arrested, police attempted to hand cuff Garner but he was uncooperative until Pantaleo put him in a chokehold from behind which is prohibited by N.Y.P.D. regulations. After wrestling him to the ground, the police handcuffed him but had his chest compressed to the ground. Garner expressed that he couldn't breath almost a dozen times until he finally past out on the street. A ambulance arrived but failed to preform CPR as it was assumed that Garner was still breathing, until he was ruled dead at the hospital an hour later. The case went to trial on the grand jury until on Dec 3rd, 2014, the jury did not indict Pantaleo for his actions. Video of the incident was captured on a cell phone and posted on social media, in which protests broke out across the country. This was the beginning of "Black Lives Matter" supports began to emerge, using this slogan to protest the police brutality occurring to the black community. On August 9, 2014, less than a month after the death of Eric Garner, Michael Brown, a unarmed 18-year-old African American teenager, was shot and killed by Darren Wilson, a 28 year old Caucasian policeman at Ferguson Missouri. After stealing some merchandise at a corner convenience store, Brown and fellow friend were confronted by Wilson. After an altercation between Brown and Wilson, Brown and his friend fled, in which Wilson pursued until he caught up to Brown. Unarmed, Brown turned to face Wilson then moved towards him resulting in shots fired by Wilson and ultimately the Death of Michael Brown. Following the incident, outrage and protests broke out in Ferguson come to be know as the Ferguson unrest. The incident went to the grand jury, however on October 22nd, the grand jury decided not to indict Wilson for his actions. This, combined with the death of Eric Garner, was the last straw and a crucial step in the Black Lives Matter movement. Hundreds of protests broke out across the nation to fight back against police brutality on African American men. #BlackLivesMatter signs were used in all the protests and people started rallying behind this movement. The Black Lives Matter movement was cemented, and internationally recognized on December 13th when over 100,000 people came together for the “Justice for all” rally in Washington and “Millions March” rally in NYC to protest police brutality against black people. It was on this stage that launched the Black Lives Matter movement into history. Black Lives Matter (BLM) aims to challenge people to think critically about the treatment of the African-American community in the United States. According to the official website, the movement is “an unique contribution that goes beyond extrajudicial killings of Black people by police and vigilantes”. 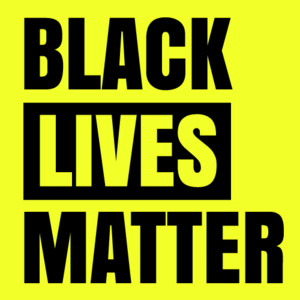 Additionally, BLM surrounds its main conversation around the deprivation of basic human rights that the African-American community has been through; specifically, it aims to start conversations and discussion about poverty, violence, justice, gender equality and LGBTQ and disability rights. Additionally, BLM also aims to broaden the current perspective of black liberation movements. It encourages people coming from different backgrounds with various identities (such as queers, trans, disabled and female African-Americans) to have their own voice in participating such movements. Made up by a younger and more diverse demographic, participants of the BLM are determined to be independent from the American Political establishment and the old guard leaders that focuses on political and social validity rather than resonate with current challenges and struggles. A movement linked to Black Lives Matter -- Campagin Zero -- outlined a 10-point objectives in relations to police brutality in the U.S. after many critics commented the Black Lives Matter movement lacks direction. 1. End Broken Window Policing: Campaign Zero calls to end Broken Window Policing and racial profiling as well as establish alternative approaches to the Mental Health Crisis. Broken Window Policing criminalize minor offence such as trespassing, jaywalking and marijuanna posession as a preventative measure. According to the Campaign Zero website, 287 people was killed by the policy department because of such policy. 2. Community Oversight: Campaign Zero calls for community oversight for policy making and jurisdiction of police offense and complaints. According to the U.S. Department of Justice, less than 1 of every 12 policy misconduct result in disciplinary actions. 3. Limit Use of Force: Campaign Zero calls for setting restrictions of excessive use of force by establishing standards and revise current policy. 4. Independent Investigations and Prosecutions: in the case of police violence, Campaign Zero aims to shift police investigation of themselves to independent investigation. 5. Community Representation: Campaign Zero aims to challenge the police department to reflect the cultural diversity of the population and utilizing community feedback to inform rooms of improvements in the local police department. 6. Body Cams/ Film the Police: Campaign Zero noted that video evidence were crucial in the jurisdiction process of most police violence cases, thus, they aim to push forward using technologies to hold the local police department accountable. 7. Training: Campagin Zero has intent to push forward a new set of training regimes that will put more emphasis on community interaction. 8. End For-Profit Policing: through limiting the use of ticket and arrest quotas, fine and fees for low income individuals, as well as any form of currption, Campagin Zero challenges the police department to work for the people instead of aiming to make profits. 9. Demilitarization: establishing policies that limit the use of weapons that could potentially harm unarmed individuals. 10. Fair Police Contracts: re-write police union contracts that are focused on protecting the police from unfair prosecution, while holding them accountable for their actions. The Black Lives Matter movement has a long term communications strategy. They acknowledge that it will take time to shift the culture, change mindsets, and alter interracial relations. With a grassroots approach, the Black Lives Matter movement aims to listen and solicit feedback from people who are at the center of the oppression. In order to organize and mobilize people, this movement actively broadens international conversation about the impact of state violence on black people and their communities. Furthermore, as many organizations focus on specialized issues, they have specialized goals rather than universal ones that share with everyone in the movement. For instance, organizations that focus on mobilizing students to fight campus racism have different aims than organizations that focus on influencing local elections. The disadvantages of using social media as a vehicle for the #BlackLivesMatter movement include increased susceptibility to surveillance and the monitoring by federal law enforcement agencies. Both the use of the hashtag and the influence of the broader Black Lives Matter movement accelerated greatly in August 2014 when Michael Brown, a black teenager, was fatally shot by a white police officer in Ferguson, Missouri. #BlackLivesMatter hashtag appeared an average of 58,747 times per day in the roughly three weeks following Brown’s death. On November 25, the day after a Ferguson grand jury decided not to indict the officer involved in Brown’s death, the #BlackLivesMatter hashtag appeared 172,772 times. As a direct response to #BlackLivesMatter, some users on Twitter began using the hashtag #AllLivesMatter. The basic premise behind “All Lives Matter” is that people should not highlight that black lives matter because all lives matter. However, on the contrary, "Black Lives Matter" is trying to highlight that there is demonstrable evidence that black lives matter less than white lives to the criminal justice system (and the American government as a whole). #AllLivesMatter has been used a total of 1.5 million times, about one-eighth as often as #BlackLivesMatter. There are hundreds of organizations that share the Black Lives Matter vision. Through these collaborations, the movement builds political will and increases the mobilization of people. Some organizations want a reformation, while others want an abolition. These are fundamentally different concepts with divergent strategies, but are still aimed towards the same overarching goal. Therefore, the many organizations are encouraged to maintain their autonomy and develop their own strategies, as they know what is best for their communities. Therefore, consistency across the different organizations is not necessary. At the end of the day, the priority that they all hold is ending violence against black people and their communities. BLM members have also joined forces with ally movements and campaigns including #FightFor15 and #NoDAPL. Many protests that have arisen aim to disrupt the routine and perforate complacency. They are meant to make people in those very spaces uncomfortable enough that the issue must be confronted. At least 1,586 Black Lives Matter demonstrations have been held in the last 841 days. On August 9, 2015, Black Lives Matter activists interrupted Democratic presidential candidate Bernie Sanders at a rally in Seattle, stopping the politician from speaking at the first of two engagements he attended on Saturday. That day, Sanders campaign added "racial justice" and "prison reform" on its platform. To a further extent, Sanders had Black Lives Matter activists open his rally the next day in Los Angeles. This specific tactic is deemed as "owning the mic". It forced the crowd to confront racial privilege and and allow for personal assertions of power by the oppressed to be voiced on a big scale. In response to the incident of Eric Garner, protests, rallies, and die-ins arose all around the United States. December 3, 2014: Citizens of New York and San Francisco held protests, die-ins speeches, and rallies against the indictment. December 4 and 5, 2014: 300 were people arrested at the New York City protests for showing disorderly conduct and refusal to clear streets. December 5, 2014: Thousands gathered in protest in Boston, where they blocked traffic, I-90, and staged die-ins. There were also protests in Chicago, Washington, D.C., Baltimore, Minneapolis,and Atlanta that arose from this indictment. December 6, 2014: 300 protestors marched in Berkeley, California. December 19, 2014: There were counter protests in New York City where people held signs that said, “Bluelivesmatter”, “Don’t resist arrest”, “I can breathe, thanks to NYPD”. Thousands of teachers got together in various public schools in Seattle wearing Black Lives Matter tee shirts to promote the cause and integrate into the syllabus and encourage equality among all races. They believed that advocating for this movement in such a way would diminish if not erase the gaps between races, cultures and ethnicities. Frank Leon Robert, a professor, at New York University's Gallatin School of Individualized Stud has created a course syllabus on the Black Lives Matter movement. He believes the design of the course helps students understand the matter in depth. He says it is modeled in a way which has context and tools to decode many of the equations that form this movement. The Choice Program is a non-profit organization based at Brown University that develops "curricula on current and historical international issues and offers professional development for educators." They have recently developed a syllabus that teaches alongside the news and this specific syllabus is based on the Black Lives Matter movement. Some of the objectives of this program include, identifying core themes of the civil rights and Black Lives Matter movements, recognizing patterns among and create slogans for different decades of activism and collaborating to consider accomplishments of civil rights activists and the enduring obstacles to racial equality in the United States. The Anti-Defamation League is one of America's "premier civil rights/human relations agency, ADL fights anti-Semitism and all forms of bigotry, defends democratic ideals and protects civil rights for all." They are focusing on high school students and how to assimilate rising human right movements into their curriculum so students are made aware of the violations that happen around them and can work towards them. Public schools in San Francisco have declared the Black Lives Matter to be a part of their curricula. Yes! Magazine has allocated a section of their magazine in updating people about the Black Lives Matter movement. They believe that in doing so they can reach out to more general civilians and inform them about the cause. Teen Vogue in their most recent publication has posted 10 steps in which the youth can help with the campaign and express their views on the matter. The Black Lives Matter movement has demonstrated an unparalleled ability to not only reach, but to affect, a massive audience. It has been credited with bringing issues of racial justice into the mainstream and has demonstrated a commitment to dissolving the myth that the United States is a "post-racial" society. According to a number of studies conducted by Pew Research Center, 43% of Americans support the movement, including 65% of African-Americans. White Democrats, and those under the age of 30, have been particularly vocal in their support of the movement. 59% of black Americans believe that the movement will be effective, in the long run, in helping black Americans achieve equality. 34% of white Americans agreed with this sentiment. The movement has garnered attention and conditional support, from many of the presidential candidates as well as the sitting president Barack Obama. When Black Lives Matter protesters interrupted a campaign event in Seattle hosted by presidential hopeful Bernie Sanders earlier this year, he quietly handed over the microphone to the activists in solidarity, allowing them to state their grievances. The Black Lives Matter movement has been acknowledged by some of the United States' most prominent musicians, actors and athletes. Beyoncé's recent song Formation and video production Lemonade both feature nods to the movement, and the latter features the mothers of Trayvon Martin and Michael Brown, two African-American victims of police brutality. Kendrick Lamar, a highly successful American rapper, gave a performance at the Grammys inspired by Black Lives Matter, and his song "Alright" has been described as a "rallying cry" of the movement. San Francisco 49ers quarterback Colin Kaepernick has begun a protest of the national anthem in solidarity with the movement, saying "I am not going to stand up for a country that oppresses black people." The Black Lives Matter movement has faced some criticism, as well as out-right opposition from numerous sources. Many of those who oppose the movement are politically Conservative. One Conservative media source, Fox News has repeatedly criticized the movement, going so far as to label it a terrorist movement, while using military-like language to describe the behavior of Black Lives Matter protesters. Much of the Republican backlash towards the movement focuses on the perception that it is anti-police, giving rise to the slogan "Blue Lives Matter" (referencing police uniforms) in response. The movement has also faced criticism from those fully aware and supportive of their objectives - a number of Civil Rights era activists have decried the methods utilized by the movement to achieve its goals - namely, the “confrontational and divisive tactics” employed by protesters. Oprah Winfrey, arguably one of the most famous African-American people in the world, is quoted as saying the following regarding the movement: “What I’m looking for is some kind of leadership to come out of this to say, ‘This is what we want. This is what has to change, and these are the steps that we need to take to make these changes, and this is what we’re willing to do to get it. '” Her words highlight the perceived disorganization of the movement. The movement has also been criticized for maintaining too narrow a focus by ignoring the many other demographics of people who suffer injustices or feel that their lives do not matter. As detailed above, the response “All lives matter,” arose both as an affirmation as well as a critique of the movement, with some saying it in solidarity with Black Lives Matter and others saying that Black Lives Matter completely ignores key demographics that suffer police brutality, such as Native Americans and Latinos. This has come under fire by Black Lives Matter activists and others, for redirecting the focus or minimizing the severity of their cause. Furthermore, the group has been criticized for ignoring black-on-black crime in their protests, the leading cause of death among young black males. Seattle Seahawks cornerback Richard Sherman has been vocal in this position, saying that he lost a friend to violence perpetrated by two young black males, a facet of the ongoing oppression of African-Americans that he feels the Black Lives Matter movement doesn't emphasize. This page was last edited on 6 October 2017, at 16:58.